There was another “Microcontrollers, soldering and Tinusaur” workshop in our town of Veliko Tarnovo, few days ago.. The first day we assembled some boards, the second day we wrote some programs. For the younger kids, there were much simpler things to do – soldering blinking LED with 2 transistors, few other components, and a battery. 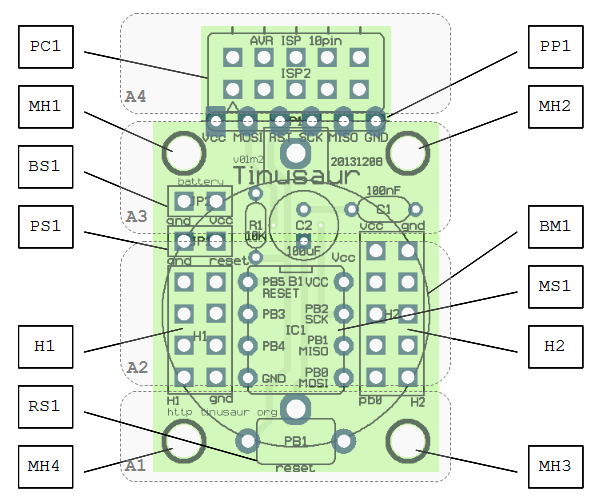 This is the Tinusaur Board from the Tinusaur Starter 2 kit. It wasn’t difficult for anyone to do that. There are markings on the PCB that tell you where to put each component and in what direction. The only important thing to know is that you solder the RESET button last, before that you solder the batter socket on the bottom side of the PCB. 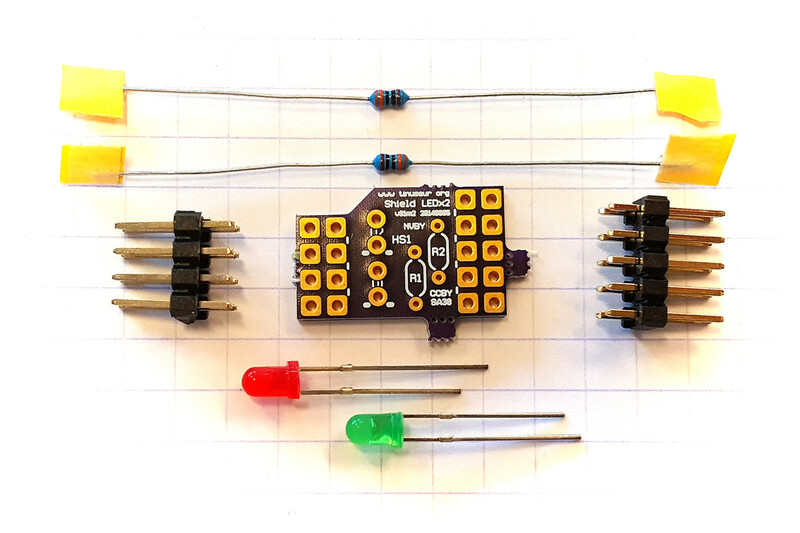 This is the Shield LEDx2 from the Tinusaur Starter 2 kit. This shield is an upgrade from the previous Tinusaur Starter where we had to solder the LED and the resistor to a tiny 2-pin male header. With the shield is so much easier and fun. 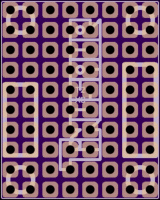 This is a LED matrix 8×8 with a MAX7219 controller. Even while we’re soldering it people were coming with ideas what we could do with it. The second day was dedicated to programming what we’ve assembled the previous day. That’s how we started the day 2. 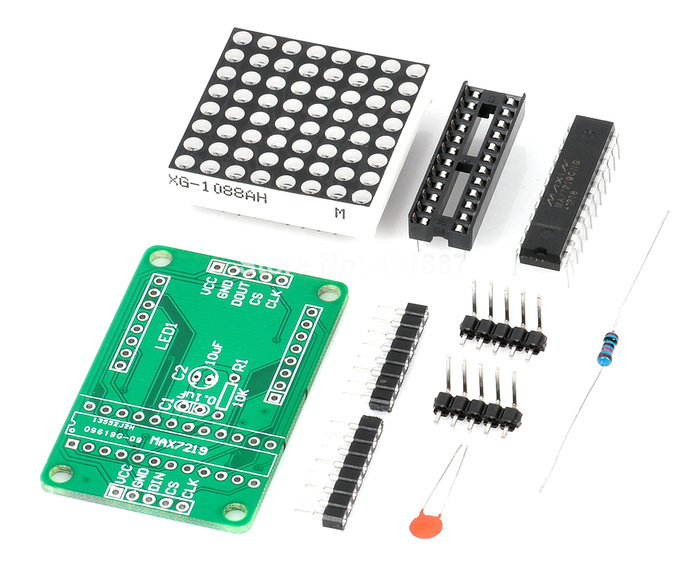 Short guide about how to setup the Arduino IDE to work with the Tinusaur boards is available at Arduino IDE Setup page. 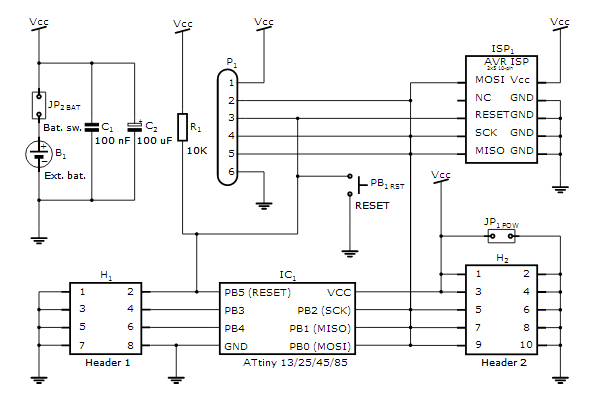 The “Hello, World!” in the microcontrollers’ world. 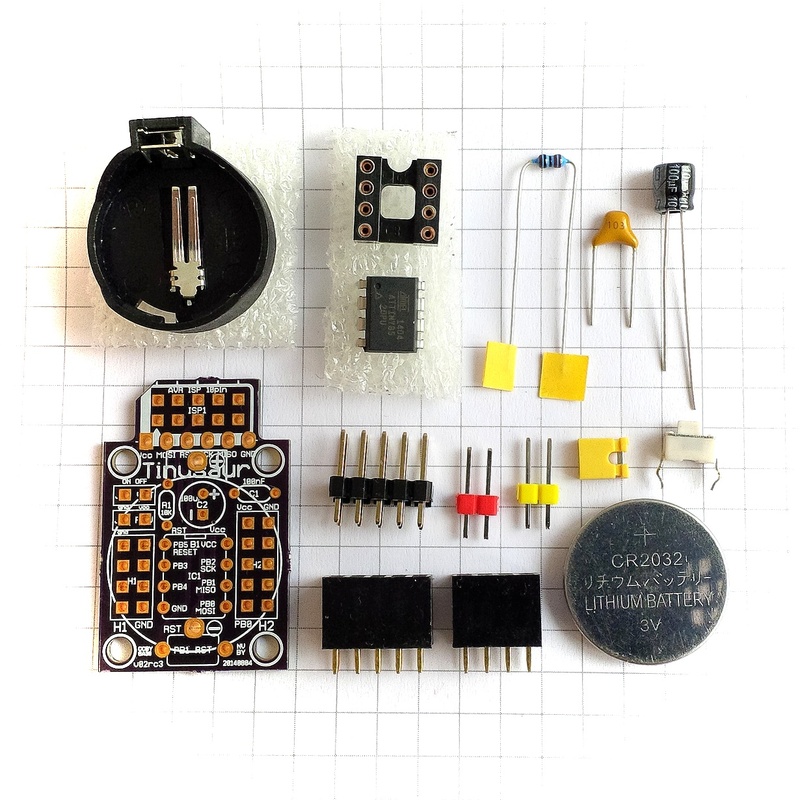 Source code available at https://bitbucket.org/tinusaur/tutorials/src/default/tut004a_blinking_leds/. Separate blog post and tutorial page will be available soon. 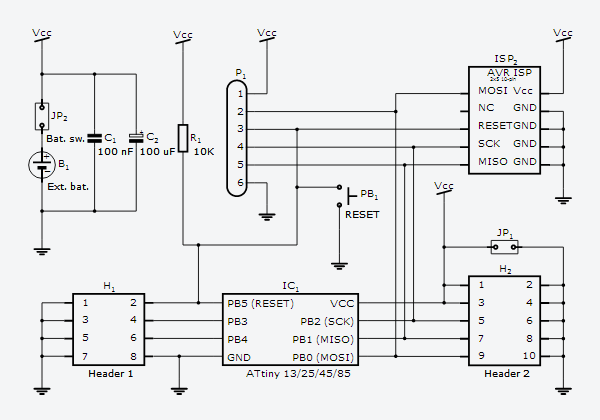 The biggest challenge here was to make the MAX7219LED8x8 library to work in the Arduino IDE environment. We’ll do another post about that in the next few days. Some of the people who received the Tinusaur Starter kit wrote us that it isn’t that easy to figure and remember how to put and use the 2 small 2×1 headers for the external power and the battery on/off. So, we decided to make a small change – have those in different colors. PS1 (external power source) is now red. BS1, BJ1 (battery switch and jumper) are now yellow. The design of the board will not change very much so the prototypes should be considered useful. 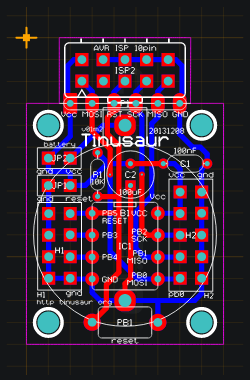 OSH Park – Tinusaur Proto v0.1 m2. 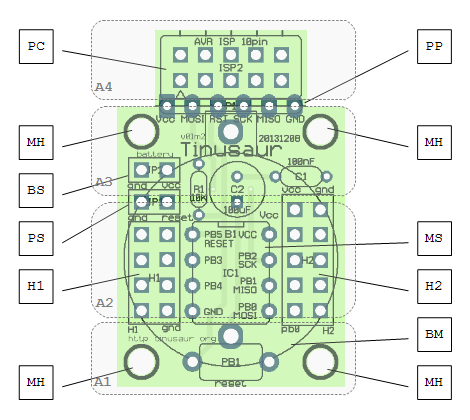 123D.Circuits.io – Tinusaur Proto v0.1 m2. When you go to these websites look for the link for ordering boards. This information will be permanently available and constantly updated at the Where to buy page.